News & Events » Environmental Law Alert Blog » We’re told LNG is good for the budget – but what about our carbon budget? A government that promises to cut the deficit by 40% by 2030 while increasing public services needs to have a budget for 2020 that shows the first steps to be taken. We should expect no less for a government that promises to reduce the province’s greenhouse gas emissions while also approving major new sources of greenhouse gases. BC’s pledge to reduce greenhouse gases by 40% by 2030 while approving a major liquefied natural gas (LNG) plant to ship gas produced through hydraulic fracturing (fracking) represents just such a challenge. Premier John Horgan insists that BC can still meet its climate targets – despite the fact that the LNG Canada plant would add another 9,600,000 tonnes of greenhouse gases to the province’s emissions by 2050 (from the plant and upstream emissions associated with the plant). Horgan has pledged to find additional GHG reductions in other areas to make up the difference. Andrew Weaver, as well as several environmental groups, say for all intents and purposes it cannot – and that the NDP is reneging on its promise to only allow LNG plants if they can be shown to be consistent with BC’s climate targets. No wonder the public is confused. BC has a track record of promising big when it comes to climate change and then failing to have a credible plan to achieve its promises. Just recently the government repealed the 2020 greenhouse gas reduction target when it became impossible to meet (due to inaction by the previous government). The BC government is currently working on a climate plan. We’re told that it will be ambitious and will achieve real reductions, notwithstanding some underwhelming initial proposals. But having a good plan isn’t enough. We also need legal tools that will see that plan implemented and strengthened over time to achieve BC’s climate targets (have I mentioned that we have a history of missing them?). In light of the LNG Canada announcement, these legal tools are particularly important. We need mechanisms that will make sure governments can’t cheat on climate plans in order to get a good short-term economic result – or that if they do, it’s clear that they’re doing that. What’s needed is the same type of transparency and accountability laws that keep governments (somewhat) honest when it comes to financial management. We need the equivalent of an Auditor General who can confirm whether or not the government is telling the truth when it says that LNG and climate action are consistent. We need planning to focus not just on long-term climate goals but also what needs to be done in the short-term. The LNG Canada announcement makes it clear why carbon budgets are needed. The LNG plant may take up 80% of the emissions allowed in BC under its 2050 target, but what does that mean in 2018? Who will be accountable in 2050 if BC misses its targets because of the plant? BC has set 10-year targets for itself, but three governments may come and go in 10 years, undermining the incentive for short-term climate action. A carbon budget sets out how many tonnes of greenhouse gases BC can emit over a five-year period and still be on track to achieve its 2030 and 2050 climate targets. Five years is short enough to require action from politicians and be useful for planning, while being long enough that we can evaluate progress. Expressing the budget in terms of emissions that could occur helps with planning; targets for each sector or ministry can easily be identified within the budget. And rather than waiting until a target year to see how we’re doing, progress on a budget can be assessed on an ongoing basis. Looking at coming budgets can allow discussions about which new industrial operations we will work to accommodate within our carbon budget (by making reductions in other industries) and allows for a discussion about whether a new industrial emitter should play role in helping to helping to reduce those emissions to make “room in the budget” for their new emissions. This graph shows the expected emissions from LNG Canada’s plant against a declining carbon budget. Carbon budgets are key tools in environmental laws in the UK, Sweden, New Zealand (under development) and elsewhere – and they work. A budget is all well and good, but most people aren’t going to wade through all those numbers and work out whether the budget is balanced or figure out if enough is being done to meet it. They rely upon experts to help them understand whether the government is making fiscally prudent assumptions. What we need is a climate experts committee – again a key feature in the world’s strongest climate laws – charged with examining whether the government is actually on track to achieve its climate goals and whether its assumptions about how to achieve the targets are reasonable. Such a committee could, for example, double-check the government’s claims that LNG Canada is consistent with the province’s climate targets. The good news is that BC already has an expert committee. The Climate Solutions and Clean Growth Advisory Council (the Council) was established by the current government to help develop its Climate Action Plan. Even better, we’ve been told that this Council will keep meeting and giving advice as the province’s climate plan is implemented. The bad news is that this is the third iteration of a committee of this type in BC. Premier Gordon Campbell appointed one in 2007, as did Premier Christy Clark in 2015 (before disregarding most of its key recommendations). Each of these committees was established through policy – with no legal requirement that the committee continue or guaranteed mandate to fact-check/audit the government’s climate policies. BC is going to be working towards achieving its 2050 target until … well … 2050, so we need a law that guarantees that an expert climate committee will be out there, applauding BC’s government when it shows climate leadership and criticizing mere rhetoric. On its face, a financial budget is just a bunch of columns with numbers in them. But the reality is that government programs are guided and shaped by it. In the past, it has been in the planning and implementation that our government has often fallen down. A government that is serious about climate change will require its Ministers to plan what measures are required to meet the carbon budget, and then implement those plans. The Climate Advisory Council will need to review government’s plans and monitor implementation to acknowledge governments that are climate leaders and to call out governments that aren’t. In addition, environmental assessments and other industrial approvals must consider how the carbon budget will be achieved – so it’s clear whether large projects like LNG Canada can fit within the carbon budget and what’s being done to make sure it fits. If carbon budgets and a requirement to plan for them were in place when LNG Canada was being considered, then we’d already know whether and how LNG Canada was consistent with BC’s climate targets. If the project was approved through a process like that, we’d have a plan for how to deal with those additional greenhouse gas emissions. BC’s climate plan, then, must be more than just a collection of emissions reductions. It must include a commitment to improving the transparency and accountability of government action on climate change. The BC government must be accountable for the climate targets precisely when meeting those targets becomes difficult – when tough choices need to be made. 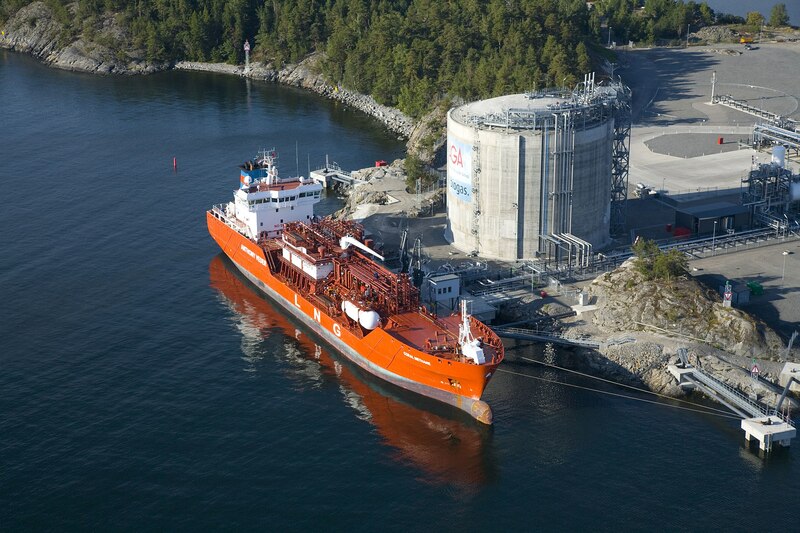 Is LNG Canada the right choice? The onus should be on the BC government, which claims it is working on a climate plan, to prove that it is consistent with BC’s greenhouse gas reduction targets. For a decade, BC has taken pride in our role as climate leaders. Our current government has boasted that it can reconcile a large LNG plant with our climate targets. It’s time to put those claims to the test, and put checks and balances in place to reward climate leadership and call out climate laggards.